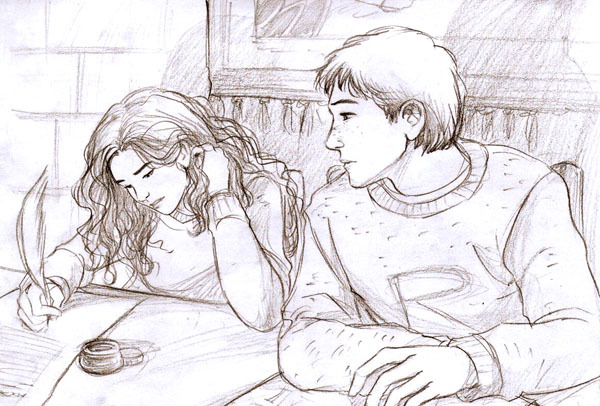 Ron and Hermione. . Wallpaper and background images in the romione club tagged: ron hermione harry potter fan art romione. This is a cool and cute picture :D!!!!!!!!! !